Front Ensemble and Cymbal Spots Available! Gold Indoor is currently looking for front ensemble and cymbal players to fill the ensemble for the 2019 season. Email our ensemble director if you or someone you know is interested at tylerjohnson@golddrumcorps.org. Don't miss out on Gold Indoor's first season back! After several summers of focusing on our summer program, Gold is proud to relaunch our indoor percussion program in the Spring of 2019. 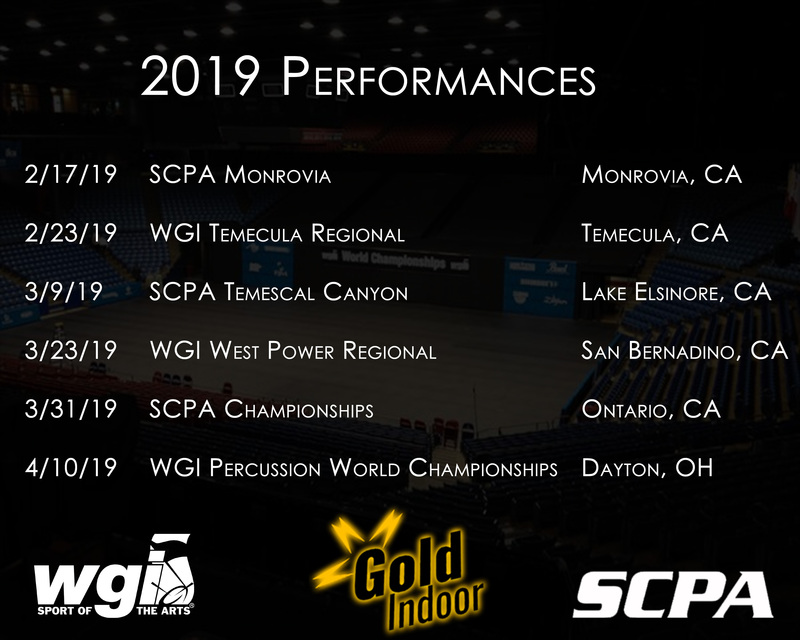 We'll be participating in the SCPA and WGI circuits in the Independent Open division.